I am delighted to be part of the book blog tour for The Shadow Between Us. Carol Mason stops by today to answer my probing question. As ever, Carol has some questions for YOU. It would be super if you could, please pop your answers in the comment. Carol Mason is the Amazon Charts and #1 Kindle bestselling author of After You Left, The Secrets of Married Women, The Last Time We Met, and Send Me A Lover. Born and raised in northern England, she moved to Canada when she was 21 and met her husband to be. They live outside of Vancouver with their rescue dog Henry, and their three-legged cat, Tria. When not writing, Carol is a keen watcher of Netflix and loves cooking. Olivia is a British woman in her early forties who lives in Seattle. She has been married to Mark for twenty years and has a daughter, Jessica, who is about to start college. When the book begins, she has walked out of her marriage for reasons we don’t know, and is renting a small house in Port Townsend, one of the Pacific Northwest’s oldest seaports. It’s fairly clear that something very bad has happened in her life that’s caused her to want to run away from it. When she reluctantly joins a letter-writing club she doesn’t expect to meet a former Navy SEAL who has his own demons. Ned was badly injured in Afghanistan, his marriage is floundering, and he too felt his only solution was to get as far away from his memories as possible. But can any of us ever escape what haunts us or do our secrets always travel with us? Through an unlikely friendship, Olivia is finally able to face up to events of the recent past. But will she want to return to her marriage now that she’s feeling a complicated closeness to someone else? Fans of suspenseful, believable, upmarket women’s fiction would probably enjoy my novel. My books are very true to life – this really could happen to you, though I hope it never does. If you like complicated love stories that reflect real dilemmas and choices, and you’re not shy of being moved to tears, then you’d probably enjoy The Shadow Between Us. Yes and yes! Obviously to write about a woman in an unthinkable situation, and to have a reader be so invested in her story and situation, I have to love writing her or the reader is going to be able to tell. I loved writing Olivia because every step of her story I was picturing myself in her shoes. Through her, I got to live out a situation I have always wondered about and dreaded. But, that said, I was hugely fond of Mark in the story. Husbands are interesting things in fiction. They tend to be portrayed as either good guys or bad guys, but there are so many shades in between that make for a fascinating statement on human nature. Mark is complicated, and he is in a bit of an impossible situation of his own, which we don’t learn of until the end. It’s my hope that readers will have one opinion about him in the beginning, and another by the end – and this will dictate how we feel about Olivia’s ultimate decision. Writing about people who truly test our emotional range as readers is such fun! Years ago, when I first decided I wanted to write a novel, an idea came to me that was crying out for me to write. But back then chick lit was thriving, and I felt a more complex, multi-faceted story about a woman in the sort of situation none of us would ever want to be in, might not be popular with publishers or readers. So I put the idea aside and wrote a more humorous book. My bizarre path to publication is for another day, but suffice to say, this idea always simmered away in me. A couple of years ago I started to write it. But then I wasn’t sure why my heart wasn’t quite in it, so once again, I abandoned it. Finally, after I’d written After You Left which was a sadder, more emotionally complex story than some of my others, I felt I was ready for this. So I dusted off what I’d written before, and dove back in. What was hard about writing it was that it’s based on one of my worst fears coming true. And I actually think this fear or dread will be something a lot of us can relate to. That terrible, What if this happened to me? was what both kept me going and held me back in the writing of it. But once I’d committed to it, the words poured out of me like with no other story I’ve written before. That’s when I knew I had always wanted to write it for a reason. A photo from 2018 that means a lot to me…. This is a photo of Sadie. Sadie was a rescue from our local pound. We got her when she was 3 months old – when I had decided to take a serious stab at writing novels and I felt a dog would be the only thing that might ever motivate me to get out of my writing chair. She was a complicated character – in fact, I put her in The Secrets of Married Women under another name. The friendliest dog and yet the craziest. Have you seen or read Marley and Me? That was Sadie in so many ways. Anyway, despite her quirks, I always knew I adored her but never as much until she died last year in August. This is one of the last photos I have of her. She was 14. Writing is lonely, and so very solitary – she had truly been the best companion. The silence that fell on my life after she had gone was unbearable. So 2 months later we ended up getting another rescue dog. His name is Henry. And while we didn’t choose him from a selection of dogs – he was coming from the Middle East and all I was given was a photo and a bio on him – he looks almost identical to Sadie! People can’t believe it. I think this is Sadie’s way of letting us know she never left us. Hitting more than 250,000 sales in a year with After You Left. But then again, I always have a sense of pride every time I turn in the final edits of my novels to my publisher. It always takes so much out of me to write the stories I write, so I usually feel pretty proud I actually managed it. I’d love to know what fans of women’s fiction look for in a novel. Do you always need a happy ending? When is a sad story too sad? Do you read to escape life or read to be better able to reflect on life? Who is your favourite women’s fiction author and why? What is your favourite read of your whole life? 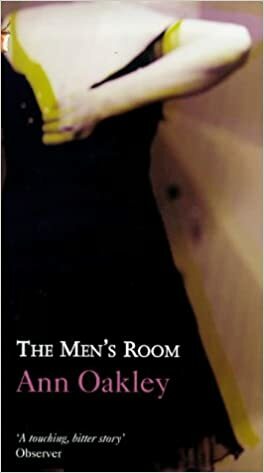 A novel called The Men’s Room by Ann Oakley. You might not have heard of it. It’s an older book and was turned into a mini-series years ago by the BBC. It’s about marriage, infidelity and a case of loving the wrong and yet the right person. One of those complicated stories where you both want to shake all the characters and yet never be without them. I am just about to turn in a new book to my editor. This one is about a marriage that is tested when a long-held secret comes to light, one which has the potential to do the sort of damage every mother would dread. Thank you for stopping by today Carol, come back soon. I like all types of fiction, a happy ending, isn’t a prerequisite for me to enjoy it. Sometimes, I read to escape, sometimes to reflect on life. The most important thing for me is that I connect with the characters and I believe in them. Me too! Characters are everything! I can handle a less brilliant plot if I am heavily invested in a character.